The Healthy Campus Initiative funds a plethora of research and clubs on campus that are related to mindfulness and mental health. 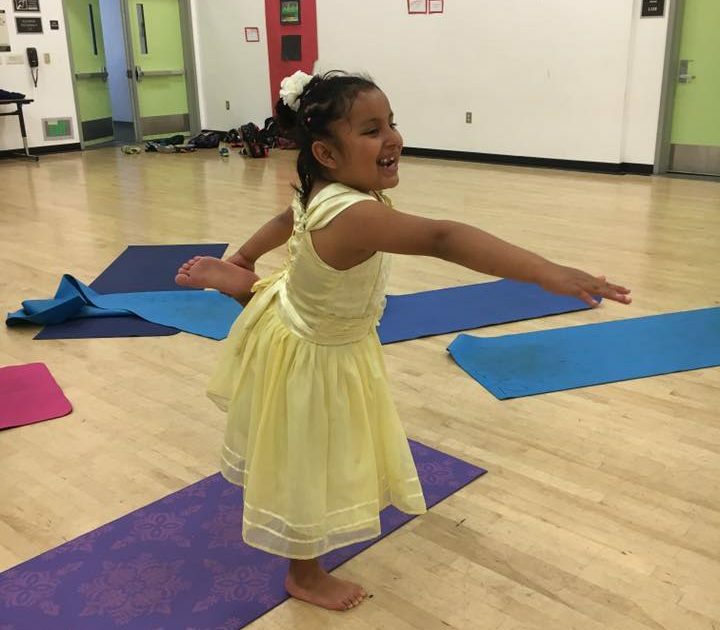 Yoga for Flexible Futures (YFF), a previous HCI Small Grants Recipient, is a club that teaches mindfulness, nutrition, and yoga to children at UCLA’s Community School in Koreatown. 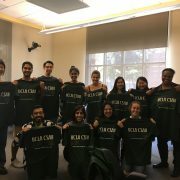 The club is composed of passionate bruins who advocate for teaching of mindfulness and fitness at a young age to help kids lead healthy lives in the future. I interviewed the current president of YFF, Carina Marcellas, to learn more about the club and the vision and passion behind their work. 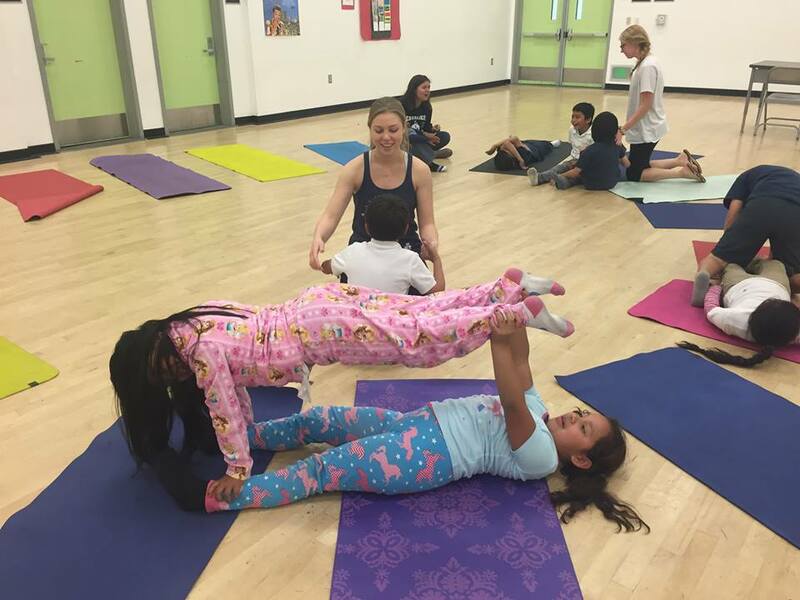 A club that rolls kids and yoga into one mat, what could be more exciting than that? About Carina: Carina is a graduating fourth year double majoring in Italian and Anthropology. She loves yoga (unsurprisingly! ), is teacher-certified in yoga sculpt, and is on the SET team at Corepower Yoga in Westwood. She’s also the special events intern at the Italian American Museum of Los Angeles (IAMLA) and is a member of the Alpha Delta Pi sorority. If she could only watch one movie for the rest of her life, it would be La La Land. Carina embraces her strong female identity—it’s even reflected in her choice of favorite actress, Emma Watson and her love of Hermione throughout all of the Harry Potter films. One of her life mottos is “be the energy you wish to attract,” which is a wonderful affirmation and reminder to be resilient and positive in all aspects of life. If you couldn’t tell from her list of accomplishments and personality traits, Carina is a shining star of YFF and an inspiring bruin. 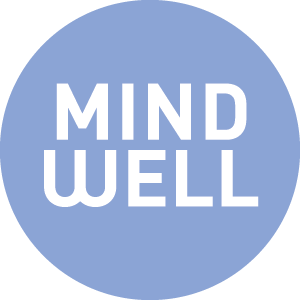 Q: YFF has been an HCI Small Grants recipient in the past for the clubs connection to the MindWell Pod’s mission, how do you think YFF embodies what the Mind Well pod stands for? Carina Marcellas: At the beginning of the quarter, we did a mindfulness activity with the kids with setting goals for ourselves. We had them set two goals for the quarter, one that was personal, and one that was yoga/mindfulness related. At the end of the quarter we gave everyone back what they had written down to see if they had met their goals. We wanted to plant the seed of setting goals to make that a familiar concept, and give them a sense of accountability. We showed them how to set intentions for themselves and then work towards maintaining them. Q: How do you think YFF bridges the connection between mental health and social justice? CM: We try and make mindfulness accessible and engaging for the kids. 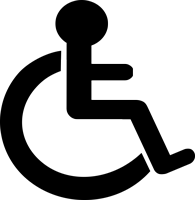 We recently did a collaboration with a mentorship program where they partnered UCLA students with kids to help further connections and increase accessibility. It was also a conscious decision to have YFF bring its program to the UCLA Community School, because it’s important to expose kids to something that they haven’t been exposed to before. 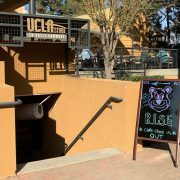 It allows us to reach a community that is different from the one that surrounds UCLA, one that doesn’t necessarily have the funds to have programs like this incorporated into the school curriculum. Q: What is your favorite part about working with the kids? CM: When you come in to teach a class every week and they remember you. It sounds silly, I know, but one time I met a girl and then the next week she wrote my nametag for me. It makes me feel important that they appreciate me. It makes yourself feel like what you’re doing is special. It also feels great to see them get excited to do it again as the weeks go by. Q: How do you think this early exposure to mindfulness, nutrition, and physical/social well-being strategies will affect the kids in the future? CM: Exposure to it at a young age is important, having the memories to look back on and keep with them as time goes on. It has an influence on them. They’re at a great age of learning and trying new things. Q: Did you have a program like this when you were younger? How would that have affected how you live out your life now? CM: No, it was all up to ourselves to stay active. I grew up in an area where everyone was really active, and it’s important to me and to my family. Yoga is more creative than other workouts, and I think that’s why I have a passion for it. It gives me something different than what I get from just running. I think that if you don’t have the strong foundation of exposure at a young age, it’s hard to carry it with you when you grow up. Q: What does it feel like to know that YFF and mindfulness are making a positive impact on the community? CM: It warms my heart. We try so hard to get these positive messages out there. It’s easy to get caught up in the frustrations, but you get past it and become so incredibly grateful to be a part of something that has had so much impact. “Thankful” is a word, but I don’t think it can truly convey what I’m feeling. Being a better person and lifting each other up is such a rare thing, and we have to be thankful whenever we can do that for each other. I go there to teach the kids, but they also end up teaching me. Their energy and approach to life is what I want to feel all the time, and I feel like I have that mentality when I’m with them. 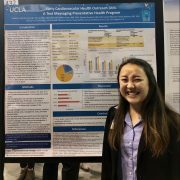 https://mindwell.healthy.ucla.edu/wp-content/uploads/sites/6/2018/05/yff2018blog2.jpg 720 960 uclahci https://mindwell.healthy.ucla.edu/wp-content/uploads/sites/6/2017/08/hci_mind_well.png uclahci2018-06-05 14:16:142018-06-05 14:16:14Yoga in the Community: Meet Carina Marcellas and Yoga for Flexible Futures!